The CACF keeps on bringing it, and definitely get on down for this if you can. Comedy + supporting your community = goodness. 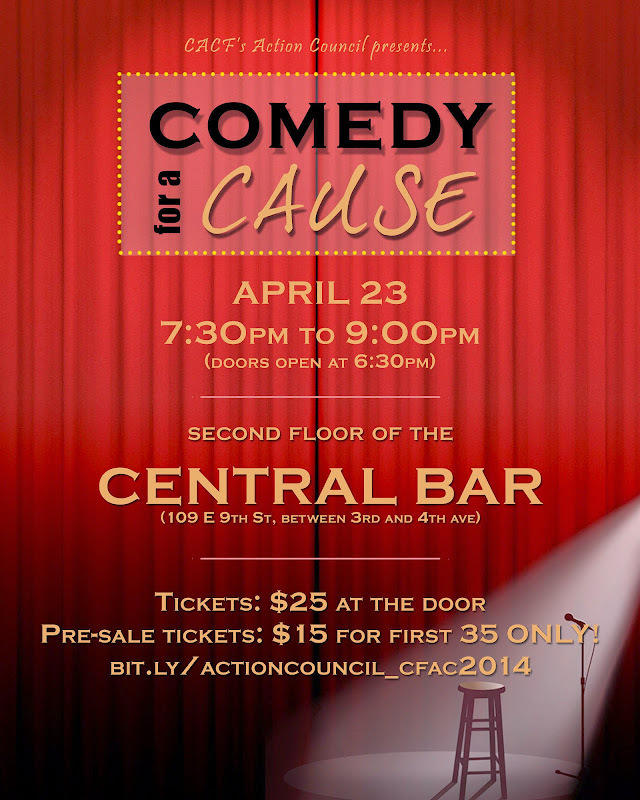 Action Council, the Coalition for Asian American Children and Families' young professionals group, is hosting a stand-up comedy show to 1) Raise money for the organization so it can continue to improve the health and well-being of Asian American children and families in NYC, and 2) Raise awareness about these issues. We hope to speak with potential interns and members at the fundraiser while putting on an entertaining show featuring Asian American comedians! *All proceeds benefit the Coalition for Asian American Children and Families (CACF), the nation's only pan-Asian children's advocacy organization.